There’s no quick fix for diabetes: it’s all about a change in your lifestyle. At the Diabetes Care Center of Johnson Memorial Hospital, our staff will educate you about diabetes self-management techniques. We’ll tailor an individual plan for you that fits your busy schedule. 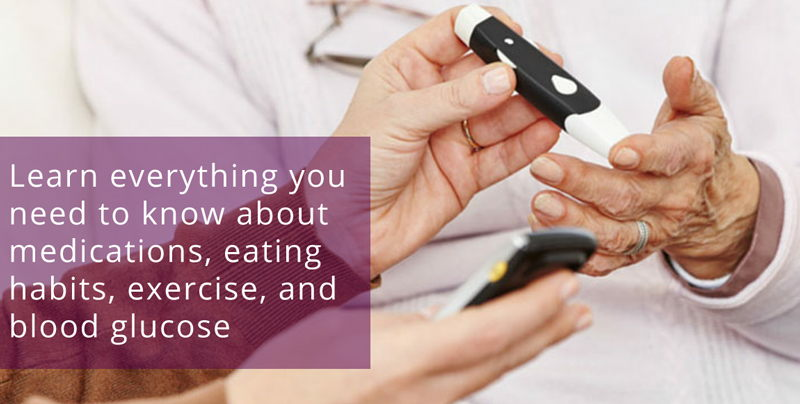 You’ll learn everything you need to know about medications, eating habits, exercise, and blood glucose monitoring. There are opportunities to learn in a class series, or you can meet with us in an appointment where we will focus specifically on your needs. The Diabetes Care Center education program is accredited by the American Association of Diabetes Educators (AADE) assuring the education provided at the Diabetes Care Center meets National Standards for Diabetes Self-Management Education criteria. Program accreditation is a sign of high quality education services and allows services to be eligible for third-party insurance reimbursement. Medicare patients are eligible for 10 hours of Diabetes Self Management Training (DSMT) at the time of initial diabetes diagnosis and two hours every year after that for review. Medicare patients are eligible for three hours of Medical Nutrition Therapy (MNT) at the time of initial diabetes diagnosis and two hours every year after that for review. Patients who have a change in treatment plan are also eligible for additional Diabetes Self Management Training and/or Medical Nutrition Therapy counseling. Please contact the Diabetes Care Center at 317.346.3846 if you have question on billing and coverage. To schedule a class, contact Central Scheduling at 317.346.3750. The community is invited to come and learn how to manage your life with diabetes at three upcoming free diabetes education events. Please complete the form below if you any questions about our services. Our Diabetes Care Center team will reply within one business day. The Diabetes Care Center is located at 1125 West Jefferson Street on the Johnson Memorial Hospital campus. For more information, call us at 317.346.3846.